It’s so hot outside! I didn’t realize Tokyo was going to be this hot… Since I’m from Alaska, the cold doesn’t bother me at all, but I just can’t seem to get used to this heat. I’m constantly worrying that I’m going to melt away in the intense heat and sunlight, since I’m a jellybean! Despite the heat, I’m still enjoying my work as the U.S. Embassy social media friendship ambassador and I recently had an opportunity to meet up with some students who were so friendly they almost made me forget how hot it was outside. 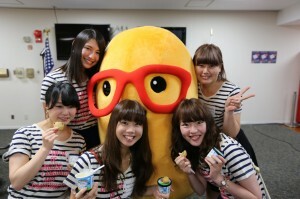 They were here for “Student Visa Day,” an event in which Tokyo-area college students are invited to the U.S. Embassy for visa interviews to study in the United States. About 60 students attended the event and participated in information sessions on studying abroad and social activities. I had always wanted to study abroad too, and now here I am in Japan and I’m having so many amazing experiences! 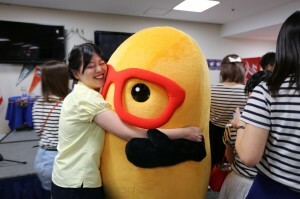 I want to do whatever I can to help people in my role as social media friendship ambassador. 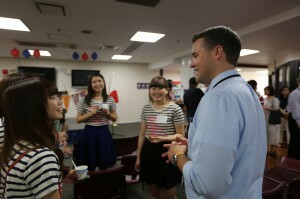 Later the students mingled and discussed their plans for studying in the United States. Advisors from the U.S. Embassy international exchanges office and interns who’ve studied abroad in the past were also on hand to offer advice. The students took full advantage of the opportunity to ask lots of questions about studying and life in the United States. I was so impressed by their enthusiasm! Talking to the students was a lot of fun for me too! They all seemed so optimistic about studying abroad and eager to learn more about the world. 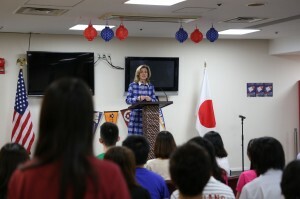 Their eyes were sparkling with excitement when said they’ll always remember what the Ambassador said in her speech and do their utmost to succeed in their studies in the United States. I hope all young people planning to study abroad, regardless of whether they attended this event or not, will enjoy their experiences to the fullest! I believe studying abroad contributes greatly to personal growth because it exposes young people to so many different ways of thinking and values. I’ve already learned so much since I came to Japan! Some students are hesitant to take the leap to study in the U.S. because they don’t know much about it or are concerned about their future. I’d like to encourage those students to watch my video. It’s a drama about Noriko-chan and her preparations for studying in the U.S. 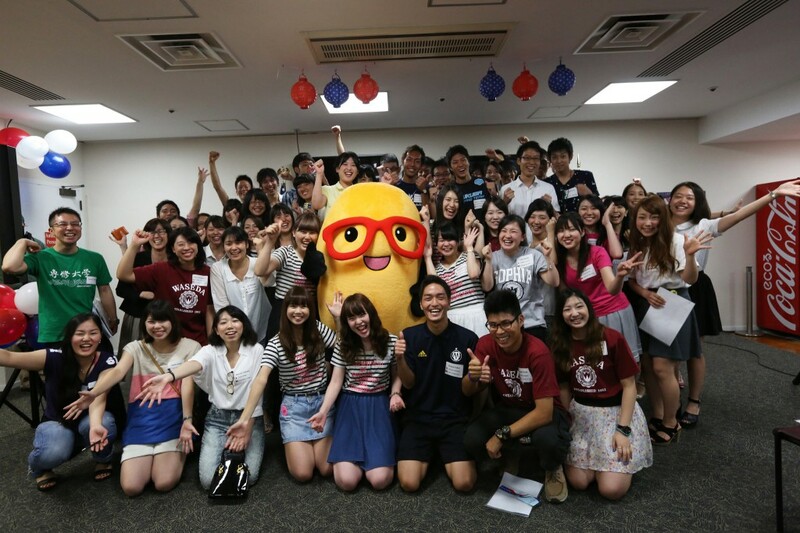 I hope it will help ease some of the uncertainty that many Japanese students have about studying abroad. The Connect USAwebsite provides information on events related to studying in the U.S. and other topics. I also post lots of comments on the Connect USAFacebookand Twitteraccounts, so be sure to check those out as well!